Options of cabinets: 50А, 100А, 160А, 250А. 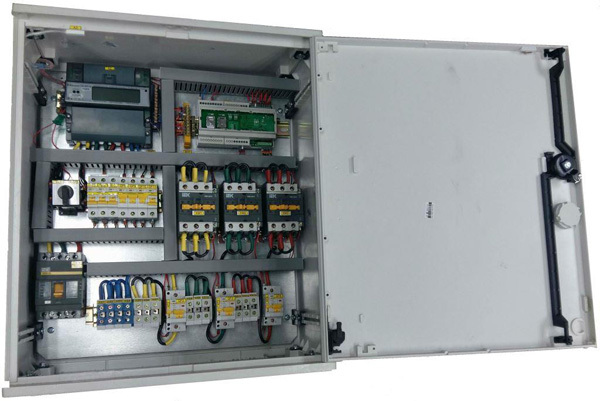 The products have certificate of conformity GOST R 51321.1-2007 «Devices low-voltage distribution and control. Part 1. The devices have been tested fully or partially. General technical requirements and test methods «and GOST R 51321.3-2009» Devices low-voltage distribution and control. Part 3: Additional requirements for distribution and control devices, intended for use in areas accessible to unqualified personnel, and test methods «meets the requirements of TU 3433-001-13793232-2007, secured by the guarantee obligations, has instructions in Russian.